The iPhone offers a high degree of control over which apps get to see your location. You can even turn off tracking entirely. Most of us already know that many apps track our location data to better deliver information about local weather, shops, or movie showtimes. A new report from The New York Times, though, reveals that this data is often frighteningly precise and collected up to 14,000 times per day. It’s so precise, in fact, that it’s possible to figure out intimate details of a person’s life merely by studying it. Worse, some apps sell this data to companies who then use it to push hyper-targeted ads to your phones. Fortunately, the report also demonstrates that we iOS users are better protected than our Android counterparts. Even so, we’re far from immune. 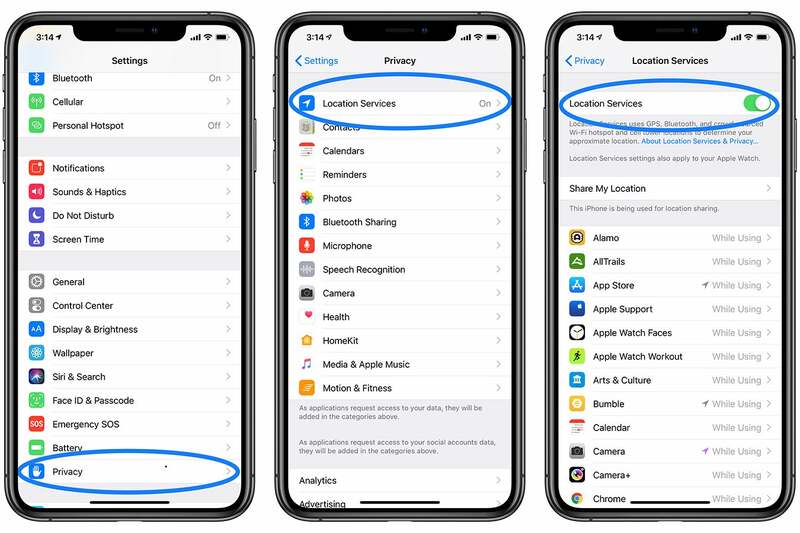 If you’re worried that too much of your location data is being uploaded and potentially sold to the highest bidder, you can use the following guide to limit access from specific apps or even from Apple’s own services. In the next menu, untoggle Location Services at the top. That’s it. Alternatively, you can scroll down one heading and disable Share My Location, a helpful feature that lets you send your exact location to friends through Messages, etc. if you believe you’re in danger or simply want to show someone where you are. Share My Location also works with some automations associated with the Home app. Location tracking can be super helpful for certain apps. You don’t need it for every app, though, and you certainly don’t need location tracking turned on all the time. 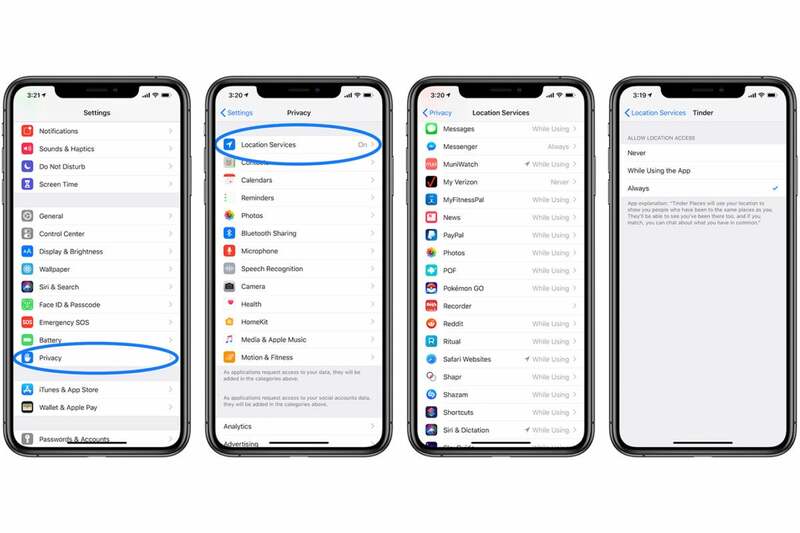 If an app supports location tracking data, Apple typically asks you at installation if you always want location tracking turned on, if you only want it turned on while using the app, or if you never want to turn it on. Fortunately, you’re not locked into these choices, and changing them involves the same simple process as above. Scroll down and select Privacy. You’ll find several options here, including the above option to turn off Location Services entirely. To disable location tracking for a specific app, scroll down to that App’s listing and select it. You’ll see three choices: Never, While Using the App, and Always. Some apps also use this menu to explain how the app uses your data. I find While Using the App to be the most helpful, as it lets you take advantage of an app’s best features when you need them. Only rarely do I select “Always.” But if you want to shut it off for good, click Never. That’s it. Alter these settings for as many apps as you wish. Close Settings. It’s not just apps that track your location data. 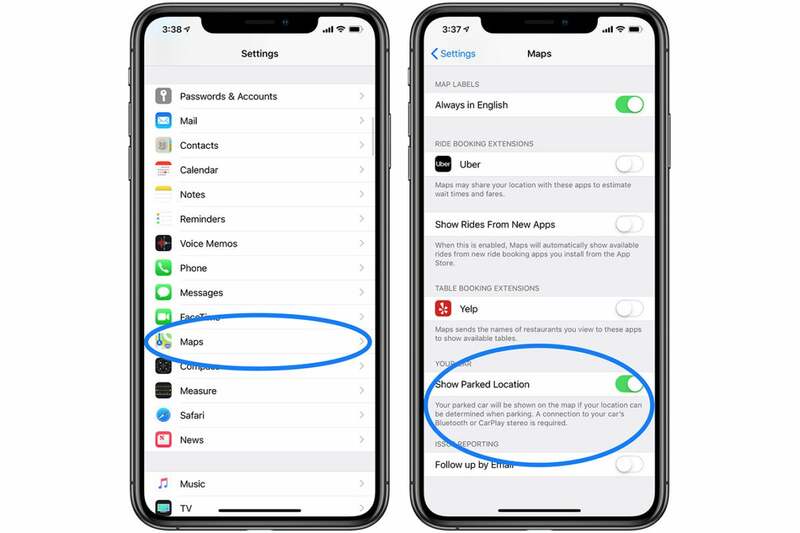 Your iPhone also keeps track of the “significant locations” you visit the most, mainly to provide location-specific suggestions when you’re using Siri or other features. Fortunately, this data is encrypted and it never leaves your phone. Even so, you may want to disable it, particularly if someone you know well can still get in your phone even with the other safeguards. Here’s how. Scroll all the way down to System Services. It should be at the bottom. Press it. Scroll down to Significant Locations and press it. You’ll then have to enter your passcode or activate Face ID or Touch ID. You can completely disable the feature by untoggling Significant Locations at the top. Alternatively, you can delete the most problematic entries individually by pressing each one separately. When you do, press the Edit button in the upper right, and you can delete each entry individually. These screenshots highlight the dangers of reading too much into the information. I frequently pass some of the restaurants listed, but I rarely go in them. 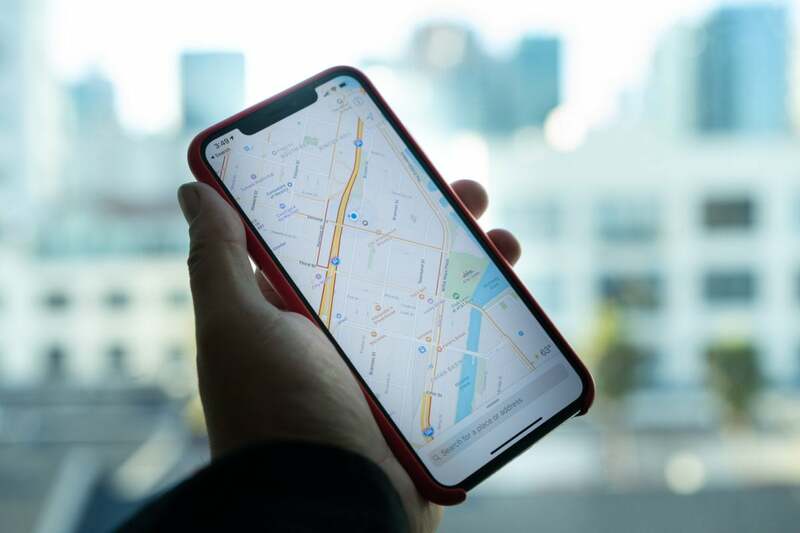 One of the niftier features of Apple Maps is its ability to remember where you parked your car, provided your iPhone is connected to your car’s Bluetooth or CarPlay. If you want to disable it, though, you can do so easily. Scroll down to Maps. Press it. Scroll down to the Your Car heading.